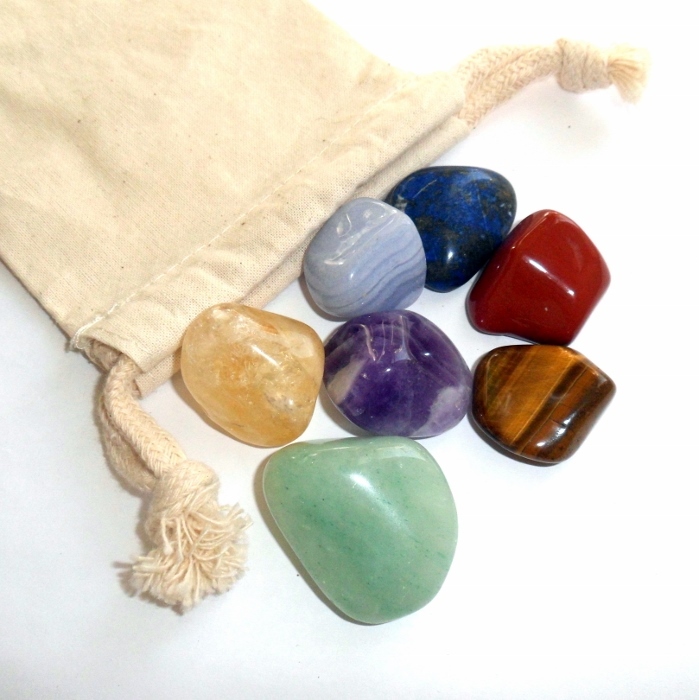 The ultimate starter chakra kit for the rock collector or crystal healer! 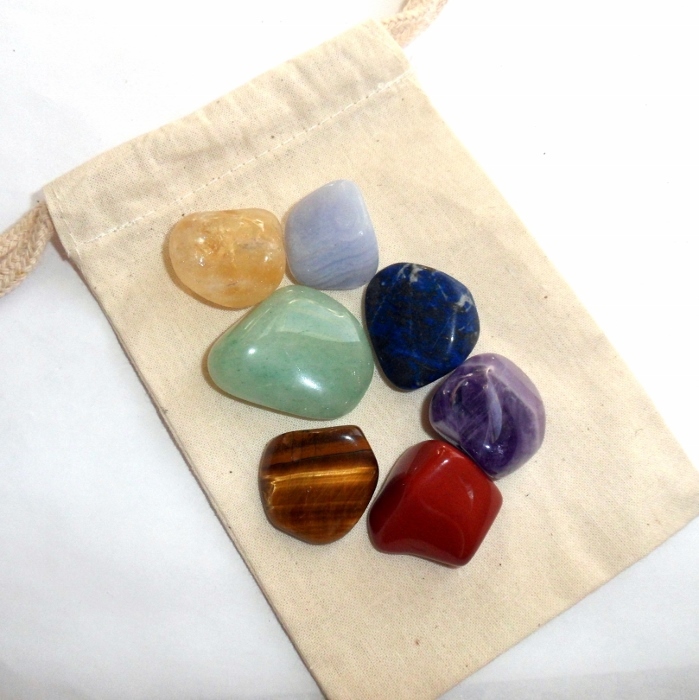 A collection of 7 stunning stones, each a powerful energy gemstone, for chakra work and feng shui. The stones vary slightly in size and are all superb high quality polished, hand sorted specimens. Average stone size is approximately 3/4 inch to 1 1/2 inch. 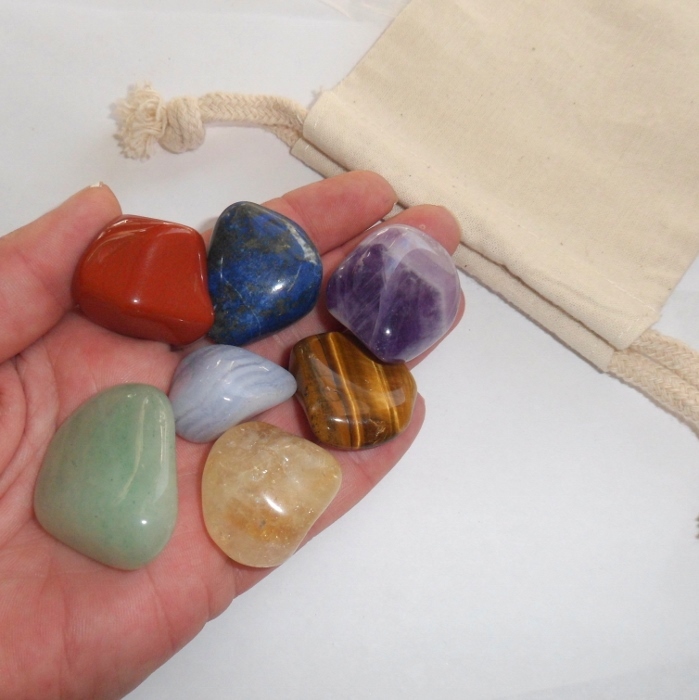 Keep your sacred stones safe in the included cotton muslin pouch. Check the rest of the shop for more stones sold individually to add to your collection.